"Fifth in 2014, Stuard is exactly the type of outsider that thrives here. Short, straight, excellent around the greens...and arrives off his best result for more than a year." For the second year running, The Masters produced unbelievable entertainment whilst being a graveyard for pre-tournament outsider bets. Of those within our odds range, only Webb Simpson and Ian Poulter ever got close and the proximity of so many superstars meant their odds never went short. As that leaderboard showed, the season's first major is the ultimate elite event but the one that always succeeds it is a different story. The last two RBC Heritage results were big upsets and the conditions of the event are more ripe than most for outsiders. The principal reason is that bombers cannot take Hilton Head's short, linksy layout apart. As Steve Rawlings explains in his comprehensive preview, this test is all about accuracy, finding small greens and scrambling well when plenty are inevitably missed. That offers a relatively rare opportunity for the shorter hitters and particularly older players with strategic nous. Position off the tee is very important, offering an advantage to those with a stack of course experience. Past results here are a very useful guide and Steve notes a number of correlating tracks. One such correlating track is Waialae, the wind-exposed home to the Sony Open. All three of my picks have plenty of previous there. Despite having a limited number of good finishes on the PGA Tour - Stuard has finished top-eight there on no fewer than four occasions. Fifth in 2014, he's exactly the type of outsider that thrives here. Short, straight, excellent around the greens - ninth among these for scrambling over the last six months - and arrives off his best result for more than a year. Fourth in Texas Open was Stuard's third top-20 in five starts, including at Copperhead on the same Bermuda greens as this week. The greens are also a big positive for my second pick. 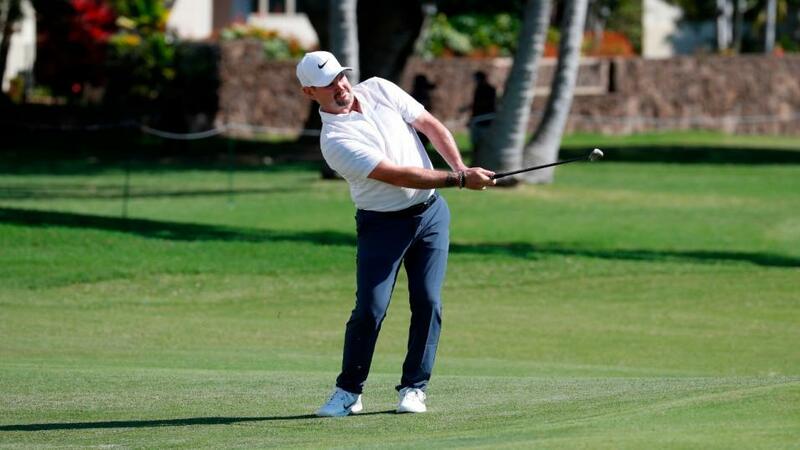 Rory Sabbatini is rated third on Future of Fantasy's list of Bermuda specialists, which goes a long way towards explaining his excellent record at Hilton Head. Despite hardly setting the world alight during the period in question, Rory finished top-25 on six of his last eight visits. Backing Sabbatini at huge odds - naturally with a view towards a partial cashout - gave this column some nice runs over the last couple of years. Having made five straight top-40s, this seems a good time to follow him again and he ticks several boxes. Sabbatini is also a former Waialae runner-up among a trio of top-six finishes there. He's made the last two top-20s at Copperhead. For scrambling, the 43 year-old ranks 20th among these over the past year. Ernie has been mentioned more than once in this column lately and, given the specific conditions, these odds are too big to ignore. Sure he will never be the force of old but Els is playing his best stuff in years - demonstrated by top-20s at the Honda, Dubai Desert Classic and when seventh on his penultimate start in Malaysia. He never won this event back in his heyday but went close on several occasions. On paper, the test looks perfect. Few will enjoy this week's strong winds more than Ernie, or the short game challenge. He ranks tenth for scrambling on this season's PGA Tour and fourth among these over the past year. There's nowhere near enough space to list all the outsiders who appeared on my radar, so I'll just list the best of them. I'm very positive about Dave Tindall's 95-1 each-way pick Aaron Baddeley, especially given the forecast wind, and the Aussie sneaks into our price range at [130.0] on the exchange. At the same odds, excellent scrambler Abraham Ancer also appeals. First reserve, though, goes to a [670.0] chance. Chris Stroud's numbers on Bermuda don't read well but these odds are ridiculous about a player who has finished top-seven on three of his last seven starts. He was runner-up at Corales, which Steve reckons could yield a correlation, and was sixth at Hilton Head in 2013.